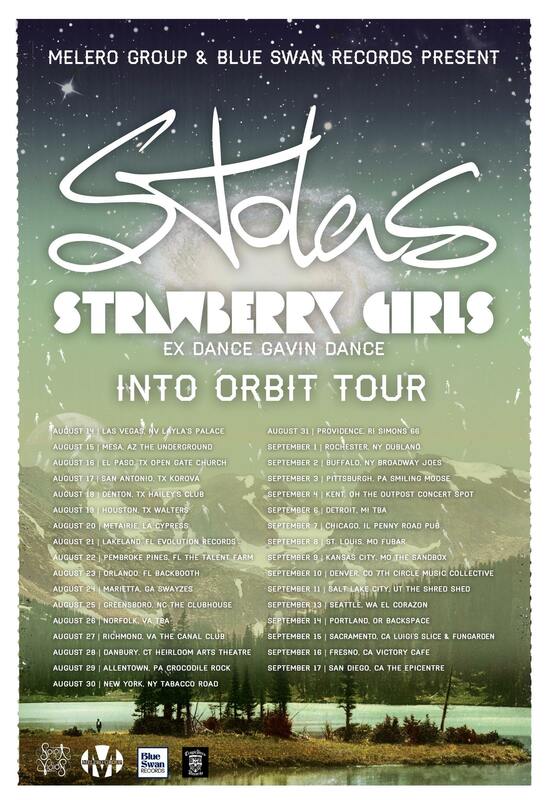 Strawberry Girls, an instrumental three-piece from Salinas, California and Stolas, a prog-rock band from Las Vegas, will be co-headlining a show at Crocodile Rock Café in Allentown on Thursday, August 29th. Strawberry Girls recently put out their debut feature-length album titled French Ghetto. The band is comprised of Zac Garren, ex-member of Dance Gavin Dance on guitar and bass, Ben Rosett in percussion, and Ian Jennings on bass. Stolas, also a three-piece, recently released their debut full-length as well. Titled Living Creatures, the 46 minute album features guest spots from Kurt Travis, former member of Dance Gavin Dance and current singer of A Lot Like Birds, and Cory Lockwood, also of A Lot Like Birds. The album was released in March on Blue Swan records. Ticketing information for the show has not been detailed as of this post. Stolas is a four piece.